Music is a motivating factor. 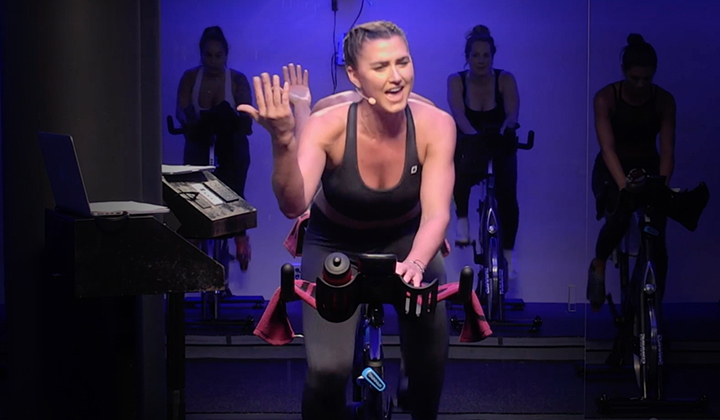 It is incredibly rewarding when a student compliments our music selection after class because, for many participants, the music really drives the energy of a great Spinning® class. As seasoned instructors, we are committed to creating great playlists and keeping our classes alive and fresh. We spend hours carefully working our selection and we always keep our ears open for the most exciting music. Though we think we have a perfect plan, sometimes life can throw us an unexpected twist. There is always a lesson to be learned, even for the most experienced instructors! I encountered what could have been an instructor’s worst nightmare. I walked into my regular Monday lunchtime Spinning class 15 minutes early, as usual. The bikes were filled with the usual corporate group of determined tri-athletes and dedicated riders. The room was buzzing with the sound of moving pedals and the air was heavy with adrenaline. I had a new playlist and was roaring to go. I always like to get the music going as soon as possible, so I plugged in my device, but the speakers remained silent. I fumbled for a moment, turning switches on and off again, plugging and unplugging. I was smiling and appeared to be relaxed as I chatted with a participant, but on the inside I started to panic. I came to a realization: The iPod dock was broken and I did not have a backup CD with me. As the group fitness coordinator for a large corporate facility, I always tell my instructors to have a few music options in the case of a broken system. I was disappointed in myself for not following my own advice. I called and left a quick message for my support staff, and took a deep breath. After taking five precious minutes of class time to fumble with the stereo, I made an announcement. “Okay everyone. The stereo is not working properly so we will ride without music. Let’s do this.” Half the room looked excited at the challenge. The other half looked dismayed. One woman actually hopped off her bike and started to fumble with the stereo. I continued to stand at the front of the room, my bike sitting to my right. One rider got up and turned on the TV as if that would help the situation. A participant in the back of the room asked her to turn it off. It was almost comical, and the whole scene lightened the mood. Even though everyone was in good spirits, I had to keep control of the class. I needed a plan and I had to act fast. Twenty-one riders stared at me expectantly, eager to ride, their wheels turning. I asked them to close their eyes. I knew that it was important for me to keep my presence. My voice was going to be the motivating sound in the class. My words were going to become the music. Fortunately, the majority of the class was into the challenge. One woman decided to call for technical support instead of participating in the beginning of the ride. I let her make the call. I had a full class to lead. Once she saw how everyone else was adjusting to the concept of riding without music, she eventually sat down on her bike. I was glad to see that she ended up staying for the remainder of the class. I continued teaching the class while using visualization techniques, pushing them through the silence. I reminded them that my voice was the guide, and their determination would carry them through. Midway into our ride I rode with them, urging them to use the sounds of their pedals in order to keep the energy going. The class went by quickly and turned out to be an amazing experience. We had, in fact, created a new aura of perseverance in the room. The sounds of heavy breathing and wheels turning became the music. I noticed how the participants could really feed off the strengths of one another. We found ourselves in a place of complete focus. The silence became extremely powerful. After the class, I received great feedback. “That was really wonderful," one student said, "you did a fantastic job, and the silence really helped me focus.” I felt successful in that moment, having made the best of a situation that could have turned into a really awkward class. After leaving my class that day, I made sure to stock my gym bag with some extra music that could be used in a CD player. 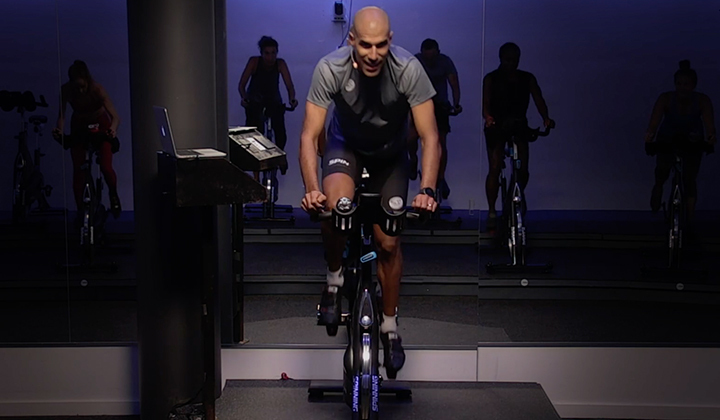 I informed the rest of the instructors of the situation so that they would not be unpleasantly surprised with the technical situation.Riding without music is truly a unique experience in a Spinning class. On the open road, there is the sound of traffic, ocean waves and the distraction of having to navigate the path. Within a contained room, we can really customize the ride and, as instructors, we create our own environment. It is always best to be prepared, but it is also important to be flexible. As instructors that teach in facilities that we do not own ourselves, we may come across surprises occasionally. If we keep an open mind and do our best to lead a successful class, then we will always be ready for the obstacles that may come our way. I can honestly say that I enjoyed the experience of teaching without music, but my car is now stocked with five extra Spinning CDs, a spare iPod and a set of backup speakers…because you just never know! 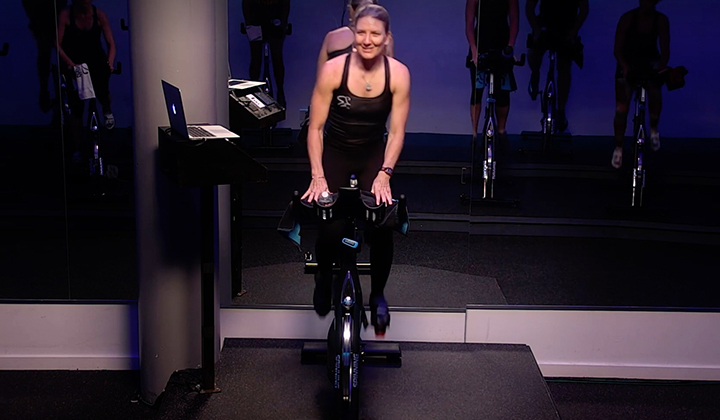 Jennifer Tipton lives in San Diego, CA and is a Level 3 Certified Spinning Instructor, certified yoga instructor and personal trainer. She has been working in the health and fitness industry for over 15 years. Find out more about Jennifer at getzenwithjen.comDo you have an interesting story about how you made the best out of an unexpected technical difficulty? 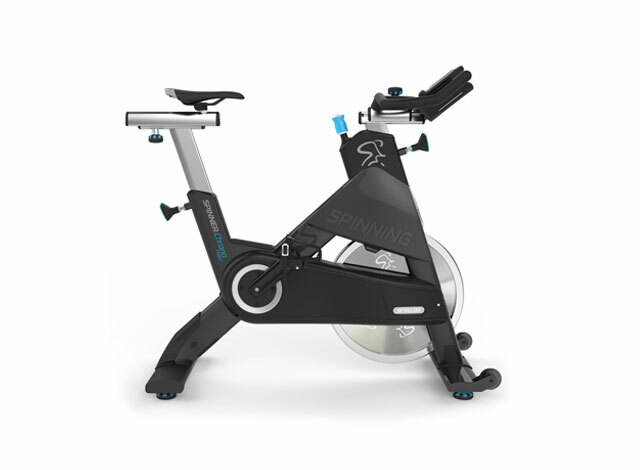 Join our Spinning Community and share your story at info@spinning.com (write "Community" in the subject line).